Please be informed that this patient underwent FUT surgery before. We preferred to make tricopigmentation over the FUT scar, rather than to use graft to cover it, as donor area wasn’t dens enough to waste the grafts. 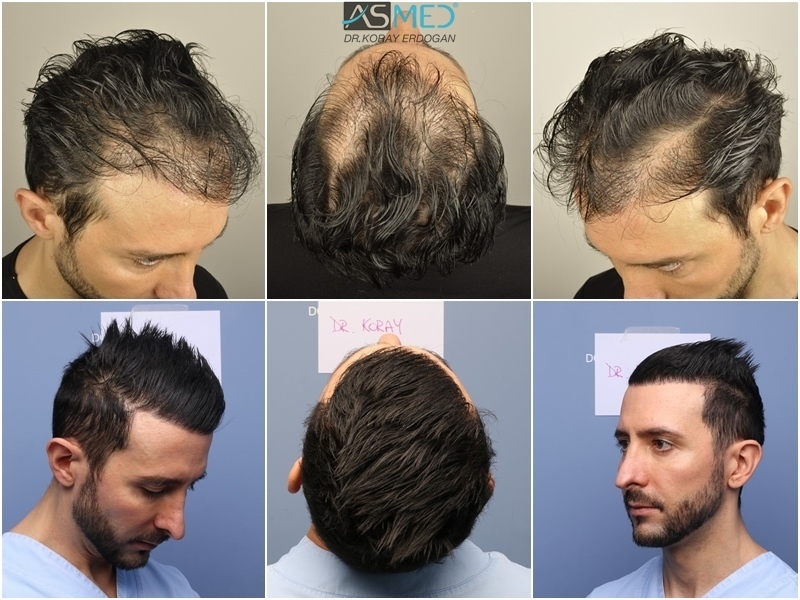 OPERATION DETAILS:  4205 grafts FUE extracted by manual punch, diameter 0.7 and 0.8 mm. GRAFTS DISTRIBUTION: 4205 grafts were used to restore the patient’s FRONTAL and TEMPLES areas. FINASTERIDE: The patient is taking the medicine since 1 and half year.